The morning of Sunday, Nov. 11, when the temperature hovered near freezing, Advisory Neighborhood Commissioner Denise Rucker Krepp called 911 to assist a homeless woman she came across near Union Station. Krepp described the woman, Helen Buchanan, as “barely clothed” and “in extremis.” By the time emergency personnel arrived, Buchanan was unconscious and had stopped breathing. She was pronounced dead at 7:07 a.m., according to the police report. Called 911 to request assistance today. 32 degrees & a barely clothed woman, steps from Union Station, was in extremis. MPD just called and told me that she was dead. @MayorBowser I’d like to work with you to make sure that no one else dies b/c of cold weather & lack of shelter. That day also marked the first hypothermia alert in the D.C. area since the District’s Winter Plan went into effect in November. Whenever the temperature falls below 32 degrees between Nov. 1 and March 31, a hypothermia alert is issued and shelter and transportation to that shelter must be available for all homeless individuals. To request transportation or shelter, call the Shelter Hotline at 202-399-7093. 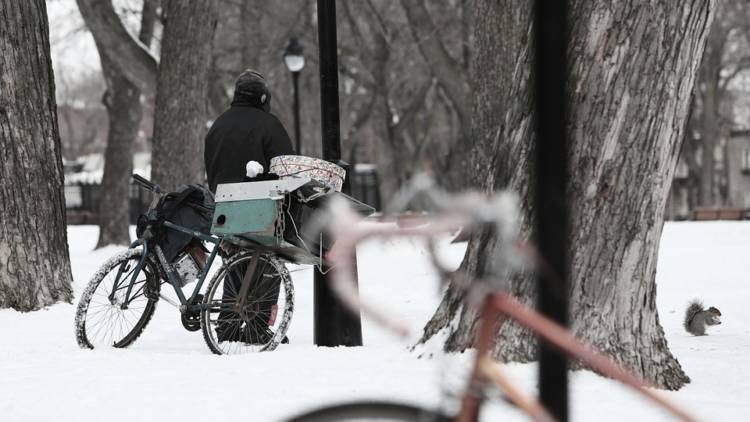 Every year about 40 to 50 people die in D.C. due to exposure to cold weather, a representative from Community Connections told The Hill Rag. At an Advisory Neighborhood Commission meeting two days later, First District Sector One Captain Jon Durrough said Buchanan’s death “drives home the point that we have to be out there doing as much as we can,” according to The Hill Rag report. The Metropolitan Police Department is collaborating with other agencies with jurisdiction over the Union Station area to watch for any other people whose health might be in danger due to exposure to the elements. District government held a virtual town hall one week later to explain when to call the shelter hotline or 911 and answer questions about the Winter Plan. LIVE: Helping Neighbors in Cold Weather Tele Town Hall.